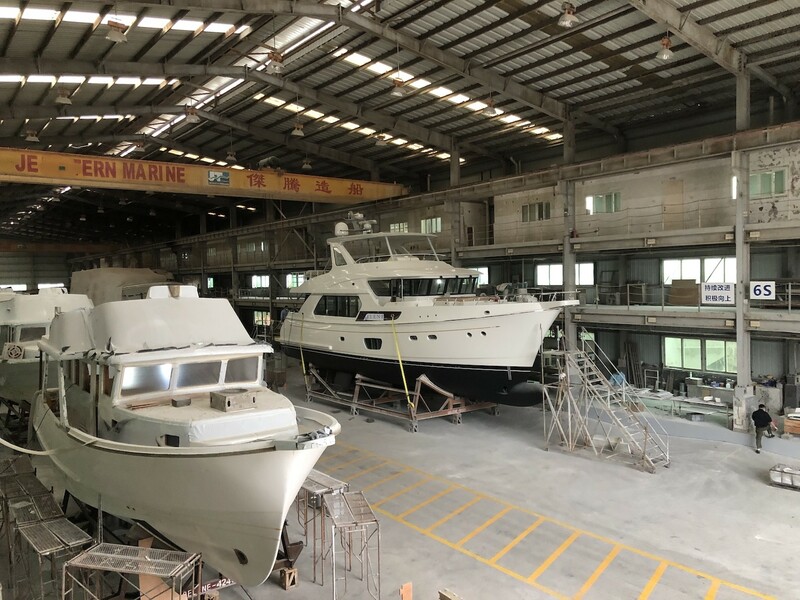 We were lucky during the last two weeks two have several Selene Yachts owners visiting the shipyard while their yachts are under construction. And it’s always a pleasure to welcome them for these routine inspection visits. 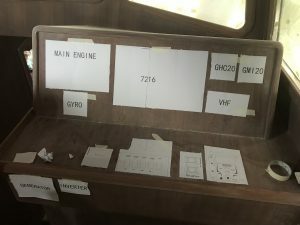 The owner of a beautiful Selene 42 Voyager Sedan which will be launched next year spent a few hours with our engineers and had the opportunity to design his dashboard layout at the helm and on the flying bridge. He could also admire the perfect joinery and the teak and holly floor which were completed last week. 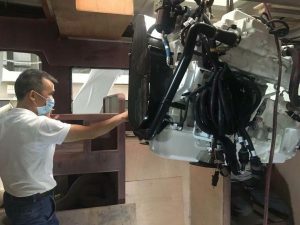 The engine room of this boat is 75% completed and a lot of attention has been paid to easy and practical service and maintenance of all the systems including a gyrostabiliser and the hydraulic get-home motor. 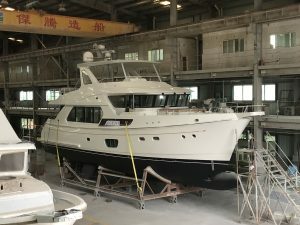 Our latest Selene 60 Ocean Explorer with his shiny hull and stainless-steel railings, luxury interior including a jacuzzi on the deck and a smart floor heating system is also almost ready for sea trial while a Selene 60 Classic is taking shape fifty meters away in the hall. 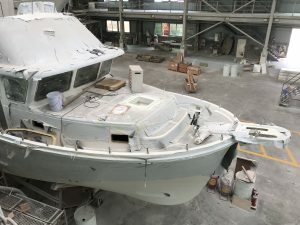 In a few days, we will move the hull of an impressive Selene 72 Ocean Explorer from the lamination workshop to the assembly line while two other Voyager Sedan yachts 38 and 42 will reach completion early next year. With a couple of amazing projects on the drawing board, including hybrid propulsion and a fast bi-hull vessel, Selene people are busier than ever!